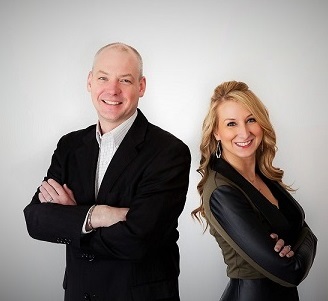 Welcome to the Mike Pelton and Noelle Leggitt Real Estate Team! If you are buying or selling a home, look no further than to our energetic team of two for knowledgeable, professional representation. You have our commitment that we will work hard for you doing everything we can to make certain that your real estate experience with us is a positive one. Our experience has also given us a network of other trusted experts in the fields of lending, insurance and home inspections to assist you at each phase. We have been awarded both individually and as a team by our company as recognized top agents. We both possess Bachelor’s degrees in Advertising and Marketing, which along with our company’s premium support, makes us very well equipped to advertise, negotiate and represent you in a friendly, business-like manner. We commit to making your sale or purchase an exciting, fun and rewarding experience! Please call or write us, we are available for you. Welcome to our trusted team. Looking for guidance on financing your home? Contact Mike & Noelle, we can help. "Home is not a place, it's a destination."